Why I Converted My Multi Niche Blog To Single Niche Blog After All ? Why I Converted My Multi Niche Blog To Single Niche Blog ? If you are a regular visitor of this blog, you might have noticed that I just converted my multi niche blog to single niche blog. There have been lots of things I faced while & after converting my multi niche blog to single niche blog. This article will list out the reasons why I converted my multi niche blog to single niche blog and what are the outcomes that I got after that. It might help you in finding a blog niche and understanding how can a blog be profitable enough if you start in the right direction. It was 2012 when I started blogging. I created a blog called sparkscoop.com. At that time, I started blogging as my hobby. I used to write articles on LifeStyle, Entertainment, Top 10 List, Latest Technologies, and Computer Stuff etc. As you know, after a year we have to renew our domain. I submitted the renewal fees to my hosting provider (as domain renewal was in the same package only). Though company renewed my hosting but missed to renew my domain. I came to know about it once the retention period was also over and my blog was not accessible. The one year of my hard work went in vain. After that, I purchased new domain – CatchUpdates.com. Since I had the backup of my previous blog, I imported that backup to my new blog. But the link building and domain authority, ranking everything were gone. Hereafter, I continued to write articles on articles on LifeStyle, Entertainment, Top 10 List, Latest Technologies and Computer Stuff etc. This was just a brief history of my blogging experience. Why I Converted Multi Niche Blog to Single Niche Blog? Now coming to the article, I am mentioning why I ditched Multi-niche and converted multi niche blog to single niche blog. The main reason of converting my multi niche blog to single niche blog was my personal interest. As you know I started blogging as a hobby and not thinking of any other thing. But after some time I realized I was not loving what I was doing. I was more interested in Search Engine Optimization (SEO), WordPress, Blogging Tricks. Since I was practicing and using these things for my blog. I found these things, more interested. It was something where I can share my experiences like what things worked best for me and what did not so that I can share it to help other bloggers. Though taking this decision was not as easy for me but finally, I followed my interest. Advice: Take your time in finding a blogging niche. You can always consider most popular blog niches. For anyone who wants to start blogging, I would recommend selecting the niche first in which he/she is interested. Otherwise, you will regret later on. This is the first thing I always mention when anyone approaches me and ask how to start blogging. Starting a niche blog requires a lot of analysis and commitment. So out of these two blogs, which would you choose? I would certainly select the first blog, as it is likely to offer more quality content (because it is a blog dedicated specifically to the topic of cricket), and it will offer a cleaner and better user experience. Same is the case with the search engine as well. Google team is bringing new algorithms regularly just to make sure that only quality Blogs/website appears in SERPs (Search Engine Result Pages). That’s why the single niche blog has a good opportunity of creating a possession on a topic in comparison to a blog writing about multiple topics. Single niche blogs always better perform than Multi niche blogs. The big disadvantage of a multi niche blog is not giving valuable information to our subscribers. Mostly, new bloggers just find best blogging niches and start writing on all the topics.Say you are running Multi niche blog where you are writing about Health, Entertainment, photography, Sports, technology etc. Someone is interested in Sports and he/she landed on your blog. The user found the article very useful or informative. He/she subscribed to your blog. Then you published a new article on Health or Photography and you sent that article to your subscriber’s inbox. Since he just subscribed your blog for Sports and he may not be interested in health or Photography. It might be annoying to him and the user can end up with unsubscribing your blog. But still, if you are running multi niche blog with many scattered topics and do not want this case to happen with you – then while providing subscription form you can mention all the topics that you provide information and let user give preference also while subscribing. So that once you write any new article, you just let only interested subscribers know about it without annoying other subscribers. In another case, if you are writing only about niche-specific articles, the subscriber will be happy to get latest updates from you since for this topic, he subscribed to your blog. Also Read: OptinMonster Reviews – Why Is It Best Subscription WordPress Plugin? Many people have asked me that are blogs profitable and how can they start earning $$$/month. The answer is making money from blogging is not as easy as it looks. If you are blogging just for money, you should rather start focusing on a single niche blog. Blog income is directly proportional to the traffic and targeted visitors to your blog. With targeted visitors, I meant the quality of visitors who are actually looking for this content. For multi niche blog, it is very difficult to find direct advertisers. On another hand, with a single niche blog, it is easy to find the direct advertiser. Now you may think – “What nonsense I am saying”. Advertisers need traffic and my multi-Niche blog has enough traffic”. If you are also thinking in the same manner then wait again. Niche-specific blog will provide better ROI for the money purpose. Any direct advertiser will spend for advertisement in niche specific blog only that best suits him. Even if you are not using direct advertisers on your blog and monetizing your blog with any of CPC, CPS, CPL networks, then also you need targeted visitors to earn. Because targeted visitors can give you high CTR. For targeted and Quality visitors, most likely you need a niche-specific blog. The other reasons why I Converted my multi niche blog to single niche blog is – Multi niche is difficult to manage. A multi niche blog means that you have to keep an eye on every category and make sure to keep all categories are getting updated. And for part-time bloggers, who are also doing a job, it is very difficult to publish multiple new posts daily. As a result of which, bloggers stop posting on all niche regularly and they tend to post on just 1-2 niches. The reason why they start doing this is because of the “TRAFFIC” they get from some categories. This is a good thing but if you plan to get your site a good authority overall and also for getting included well in google news then you must take care of your categories. Thus managing multi niche blog is very difficult. You might be aware there are many directories available and you can submit your blog in related categories for better exposure and links. Now considering you are running a multi niche blog and writing on many scattered topics, in which directory you will submit your blog? You may say you will find the category that is driving maximum traffic to your blog. And then will go with the related directory. But it is difficult to submit your blog to directories and get it approved. On another hand, single niche blog is easy to submit and get it approved. Blog with multiple topics often suffers from high bounce rate. This is because when someone visits a site through an article of his interest, he wants to read something similar. But in the case of a multi-niche blog, he may not find it as your recent posts might not be on the same topic. This makes your visitors exit, thus increasing your bounce rate of your blog. Networking is one of the important things in the blogosphere. It is very important to connect with bloggers of your niche and maintain good relations with them for a successful blog. But when your blog has many niches, you have to connect with bloggers of all that niches. This is the most difficult part as we bloggers are so busy with our work that maintaining the relationship with a multi niche blog is tough. I have listed all the reasons why I converted my multi niche blog to single niche blog. While working on multiple topics, I was a Jack of all trades, Master of None. There are enormous blogging niche ideas that you can think of. Now as I am writing about SEO, WordPress, Blogging Tricks, I am getting in-depth knowledge in these areas and I can share a lot of knowledge with my visitors. Nowadays, everyone appreciates the specialists, not the allrounders. 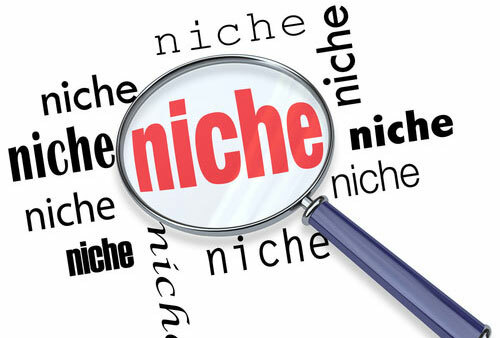 You can easily find profitable niches online and then start with best blog niche that you think will be. Awesome post..Almost all of us are confused regarding the issue but the post is sufficient to clear all doubrlts about single and multi niche blogs. Very simple in language and too useful foe a newbie blogger like me.. thank you so much! I have already started a personal blog a few days back. now I have found my area of interest or a niche.. Do I need to start a new blog again? or can I continue writing my topic in the same blog I hv started? This is so nicely written, Mohit. I also think you’ve really laid it out in a clean way. Nice work!